To buy the right mobile phone you will need to take a variety of factors into consideration. There are many cell phones available, and some are definitely better than others. Not all cell phones are intended for the same end user though. If you plan on purchasing a cell phone at a discounted price by signing a contract with a mobile phone carrier, it is important to first choose the carrier. Factors to take into account when choosing a carrier are coverage, price, texting/web/multimedia plans, customer service ratings. If you are a non-technical user (you want to use the cell phone exclusively as a phone, not a handheld game console or pocket-pc), then features such as a camera, mp3 ring tones, video playback and messaging are not needed. If you are a mid-range user, look at phones that have features such as a camera or mp3 ring tone support. Mid-range users tend not to purchase phones with multimedia players as these tend to add a significant cost increase. If you are a high-end user, look into features such as mp3 playback, support for trans-flash expansion cards, a camera over mega-pixel, video playback, or blue tooth. Decide what you want, what you will use the phone for, and most importantly what kind of cell phone user you are. Consider the type of person you are. Ask yourself if you misplace things often or if you drop things often. Choose a cell phone that is covered by cell phone insurance. An additional fee is required per month but it will save you hundreds of dollars if your phone is lost, stolen or if there is any physical or liquid damage. Many phones have some frustrating “features” that are not immediately apparent. For example: only displaying the time when service is available, limits on text message storage, and shutdown sounds that can’t be turned off (really embarrassing at the movies). Ask a sale person or a friend who owns the same model about specific features before you buy. When considering whether to purchase your new mobile phone handset consider searching online resources with independent user reviews. 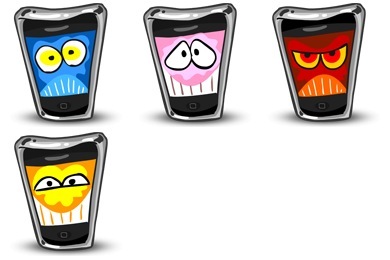 Often if a handset has been out for a month users will have already found out about any major problems with their handset and posted on a consumer websites. You can be confident you are choosing the right mobile phone before making your high ticket purchase. If you are intending to buy your new mobile phone online for further savings it can be worth popping into your local dealer first. Get a feel for the handsets and a look at the various sizes, display screens and operating systems to see what best suits your personal abilities and hand size. You can also get demonstrations and any questions you may have. They will try to encourage you to sign up but you can always say no thanks once you have the information you want. Then go home and check online for better offers. Purchase accessories from a corporate store of your cell phone provider because there is a separate warranty for them. If you buy a headset on the street for five dollars you can’t take it back if it breaks. At a corporate store you may pay more but it can be exchanged through the warranty program for 1 full year. Always keep a receipt. Do not go out and “impulse buy” a cell phone. This will most likely result in purchasing a phone with too few/many features. Take full advantage of the 30 day trial period to check out your phone and network quality for your area. Ask what charges you’ll be responsible for if you change your mind and go with another carrier altogether. You can be held responsible for activation fees, prorated service fees, taxes, etc., which can add up quickly. Many people are surprised that the trial period isn’t “Free” and processing returned equipment and refunds can take weeks. Be aware that even with insurance most phones are not covered for liquid damage. Different phones also get different reception, so you could have a carrier with really good service, but a phone with poor reception and sound quality! Check this out too.